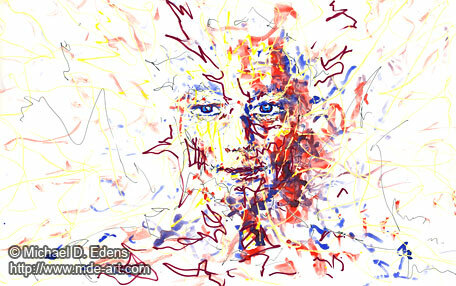 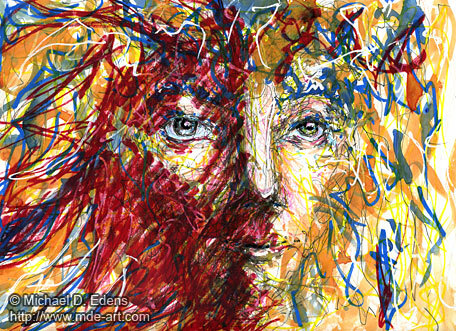 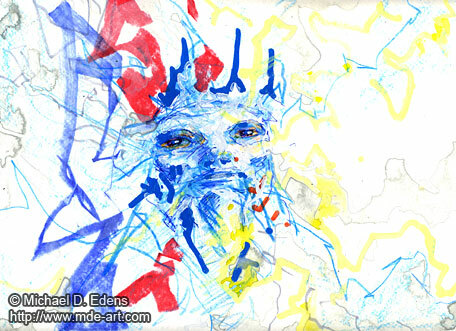 These are two drawings of abstract faces, one with primarily blue colors, and the other with primarily red colors. 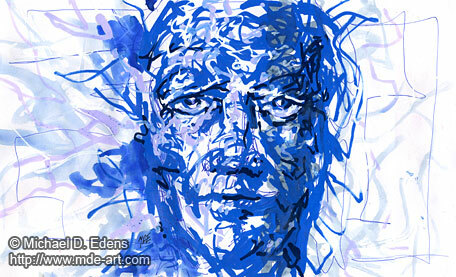 The blue face is approximately 9″ x 12″, drawn with pens, colored pencils, paint pens, and painted with watercolors. 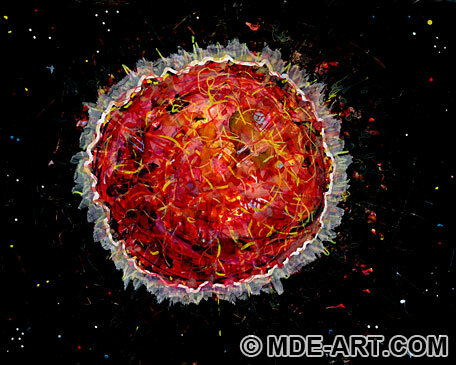 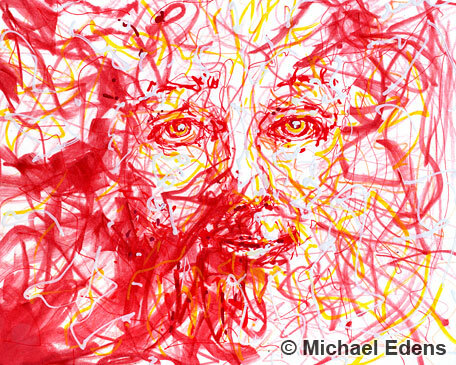 The red face is approximately 8″ x 10″, drawn with pens, markers, paint pens, and colored pencils. 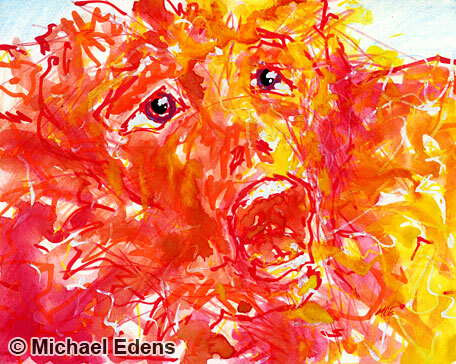 This is a warm toned drawing and painting of an abstract face yelling “Ahhhhh!”. 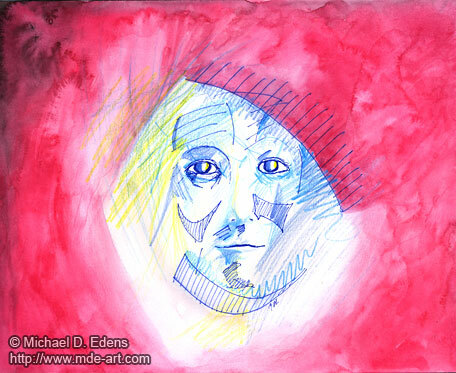 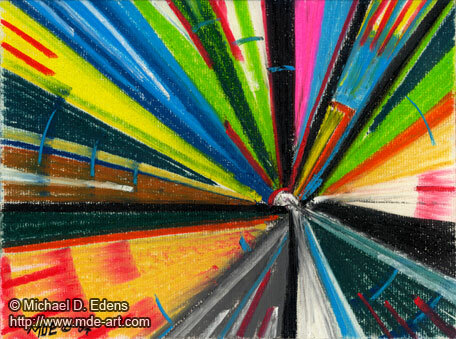 I mixed paint pens, colored pencils, and watercolors to draw and paint the 8″ x 10″ artwork. 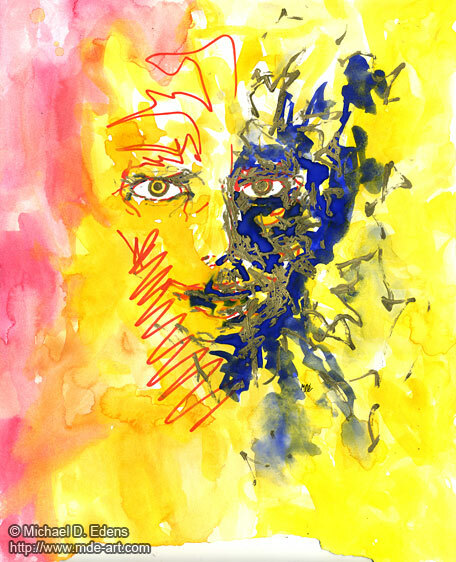 “Blue Boy” is approximately 11″ x 14″, drawn with markers, watercolors, and paint pens on paper. 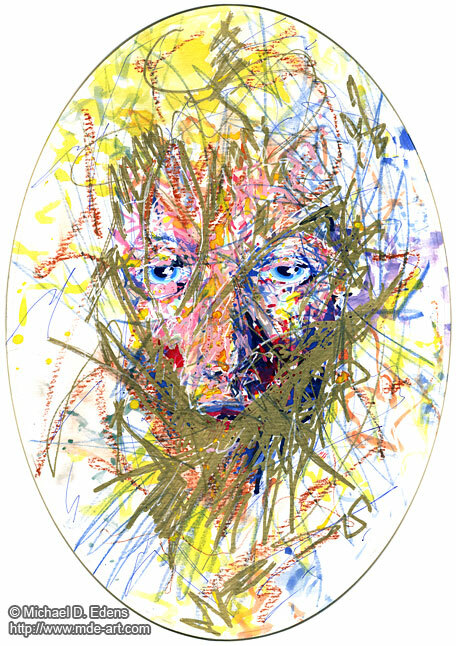 The strokes are swift and gestural, with abstract shapes and lines loosely forming a wide eyed expression on a boy’s face. 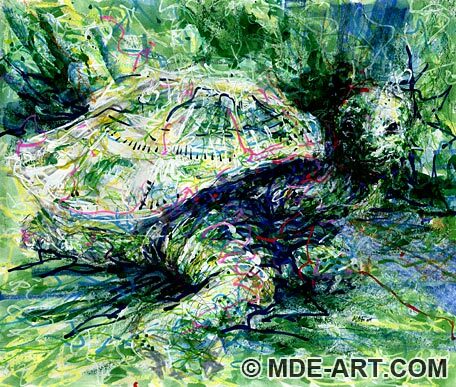 The accompanying video shows the drawing and painting process in a time lapse format. 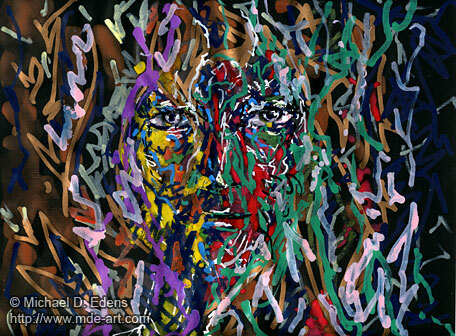 The following artwork is entitled “Portrait of a Woman”. 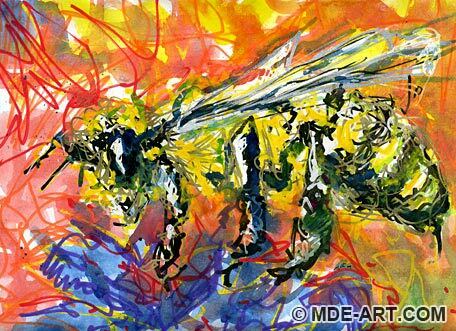 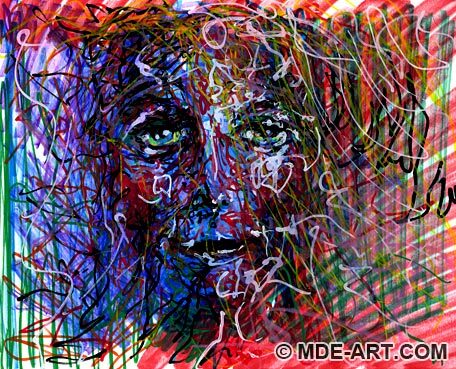 The slightly abstract and impressionistic drawing is approximately 11″ x 14″ and was created with pens, markers, paint pens, and colored pencils on paper. 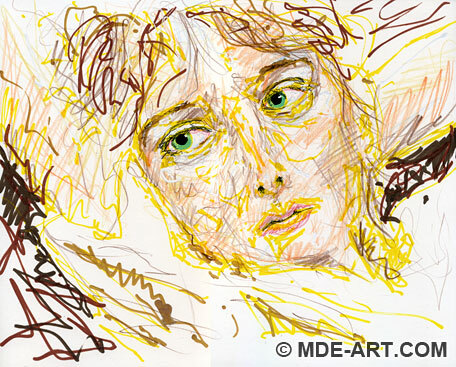 The portrait was drawn from life, as the woman reclined on a couch. 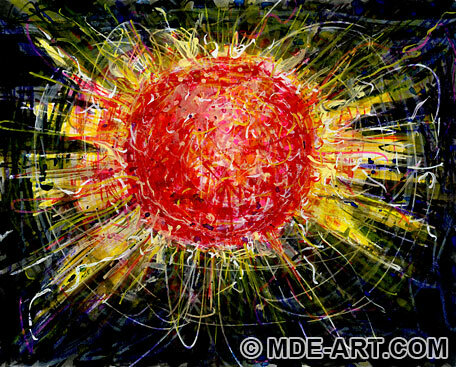 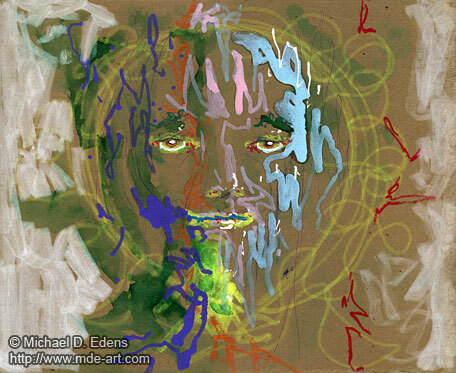 A live subject helps me to capture a unique vibrancy and spirit that emanates from a person. 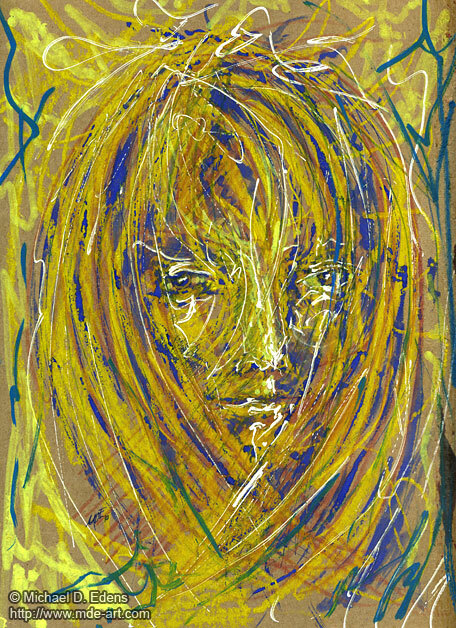 Interestingly, the woman in this portrait became very ill a few hours after the 20 minute drawing session. 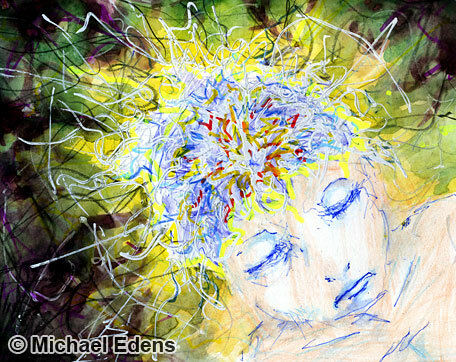 I think a certain anxious discomfort was visible before the physical symptoms of the illness were felt by her. 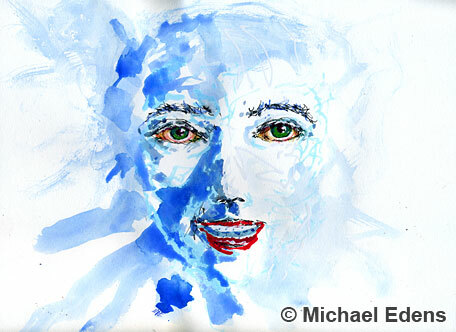 It was a 24 hour illness, and she fully recovered. 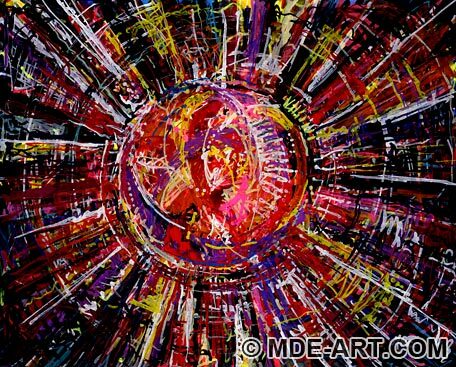 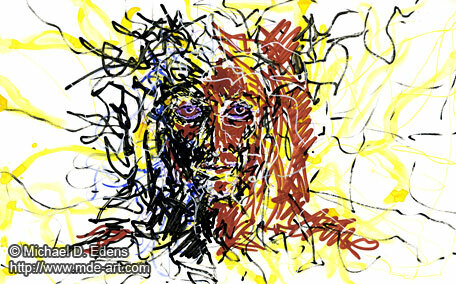 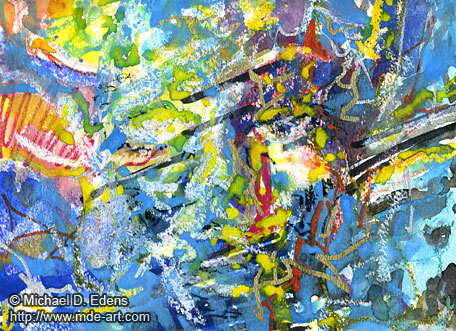 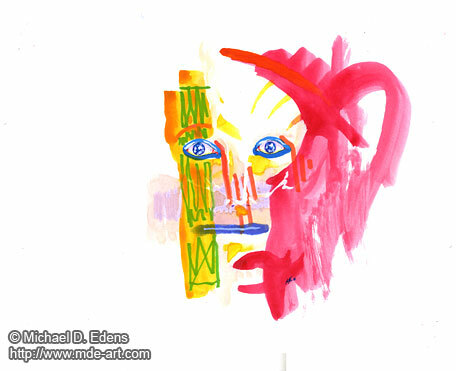 This is an abstract face entitled “Portrait of Lines and Color”. 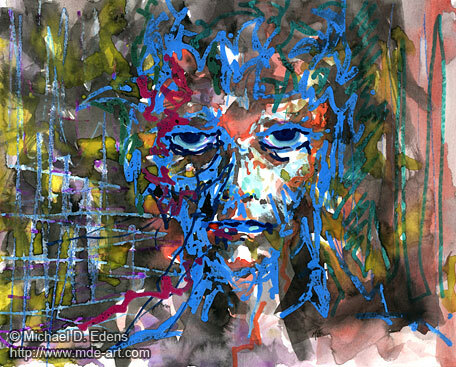 The artwork is approximately 11″x13″ on card stock paper, drawn and painted with markers, pens, watercolor, and paint pens. 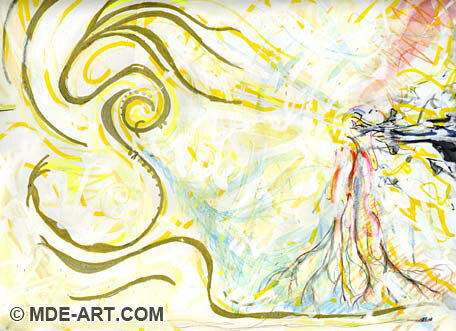 A few wisps of silver and gold paint pens were also used to give the drawing a shimmer from different viewing angles. 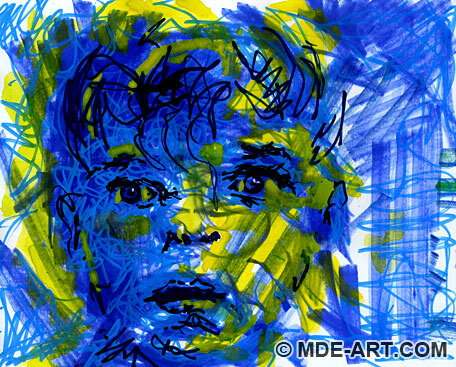 The shimmer does not show up in the digital reproduction. 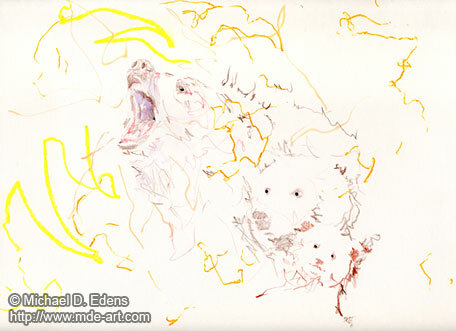 The accompanying video shows the drawing and painting process in a time lapse format. 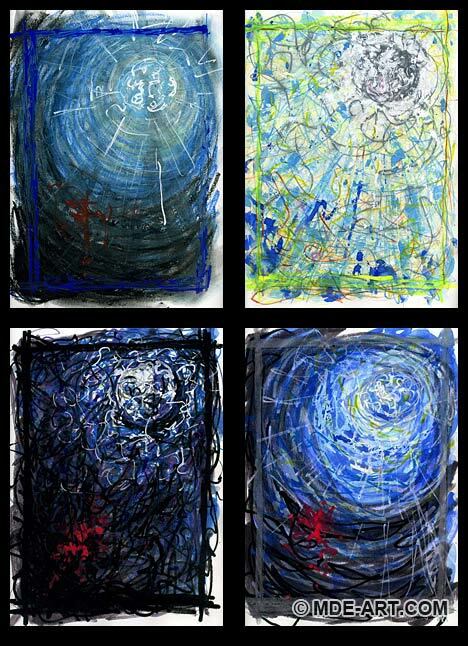 The video recording process offers a clear reminder of how the drawing looked during various stages of creation. 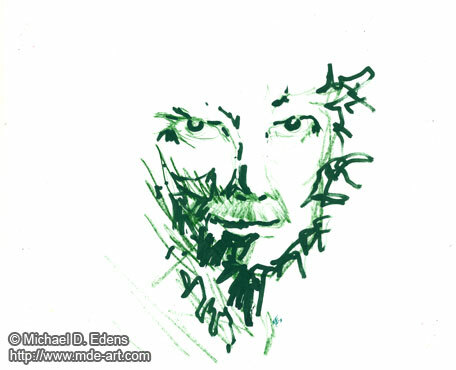 And I think some very interesting images appear throughout the process that lend a certain experience, age, and depth to the final portrait. 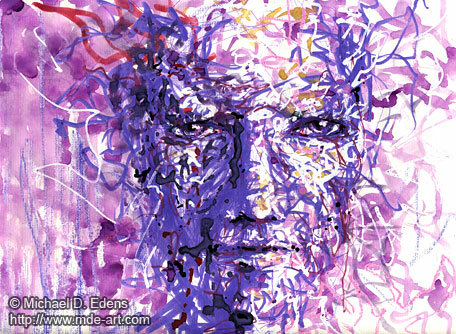 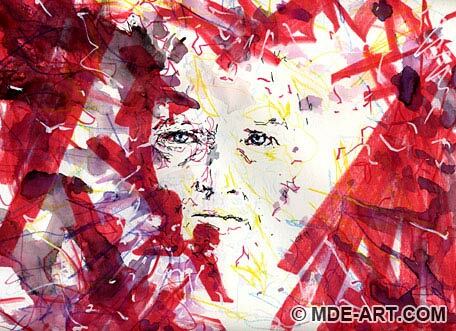 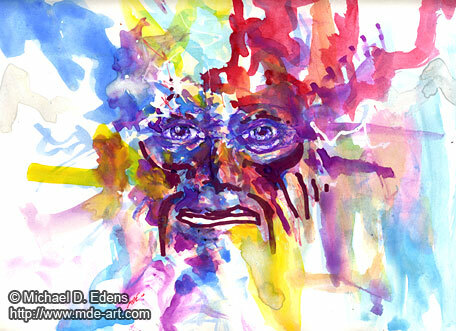 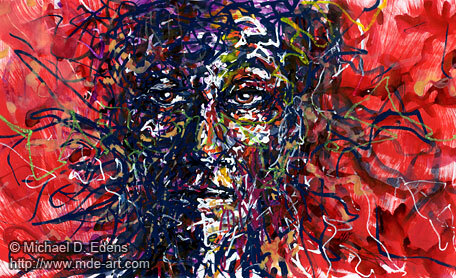 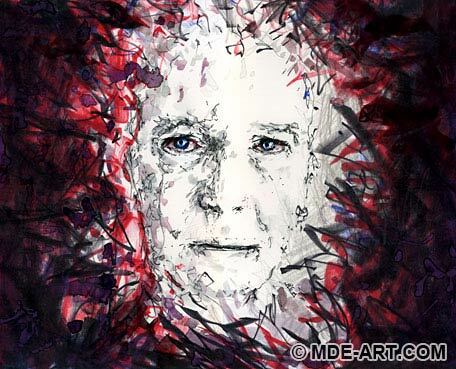 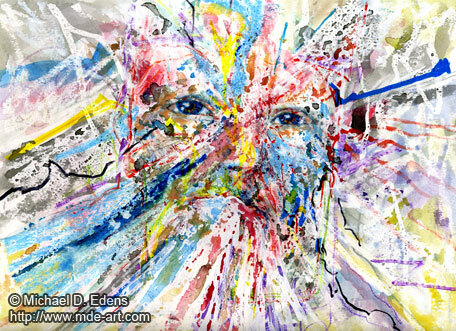 These are sketches of abstract faces in primarily black pens and watercolors. 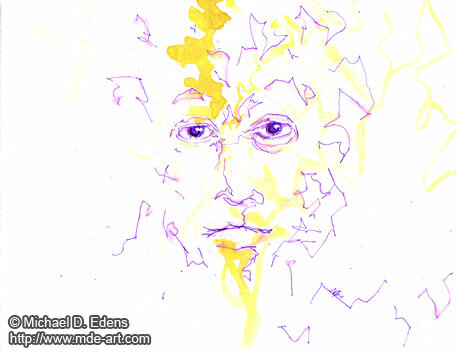 The first drawing is a pen sketch with water wash, approximately 9″x12″ on paper. 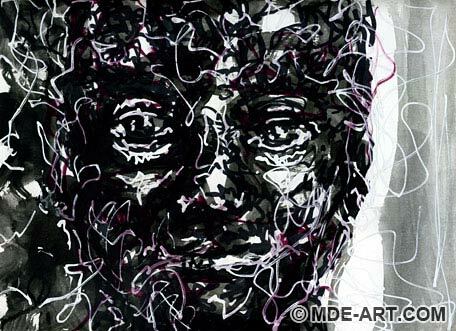 The old face is an interesting foundation, utilizing the high contrast of black and white to create a striking and kinetic composition. 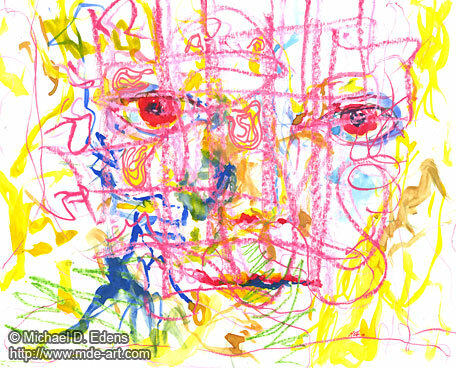 The second drawing of a face, also 9″x12″ on paper, started in a similar style with pen and markers. 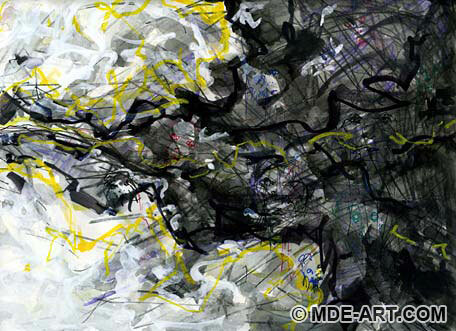 Layers of black watercolor, marker, and white highlights were gesturally added to accentuate the fluid and wispy atmosphere. 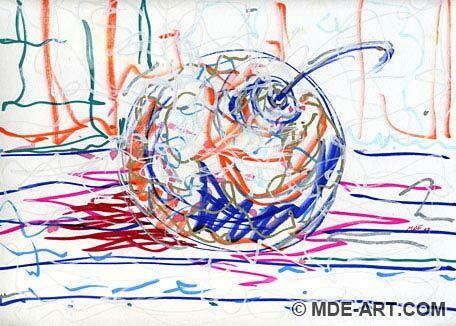 This is a 9″x12″ abstract drawing of a spider, created with markers, paint pens, pens, and watercolor medium. 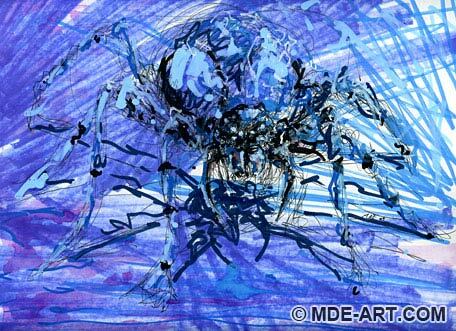 The cool color palette adds a cold feeling to the artwork, and loose style helps the spider to blend into the surroundings. 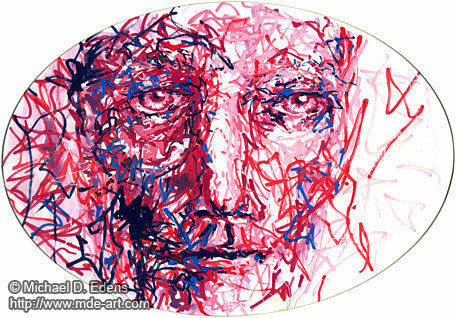 The long background lines and wispy strokes also help to convey a sense of movement. 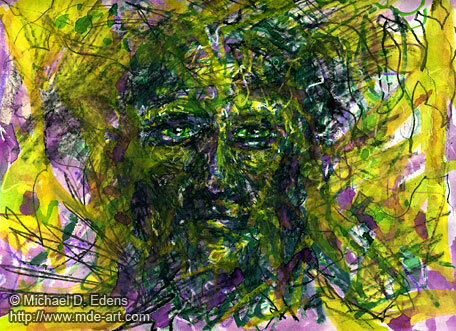 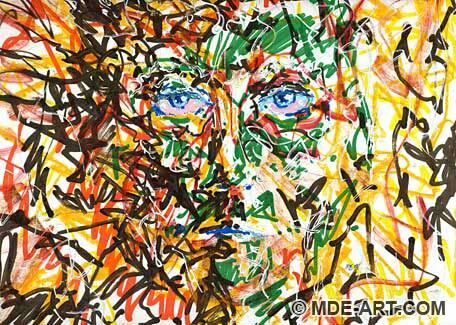 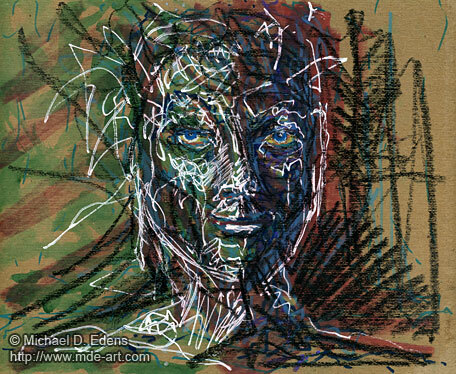 This is a 9″x12″ abstract drawing of a face with a determined expression. 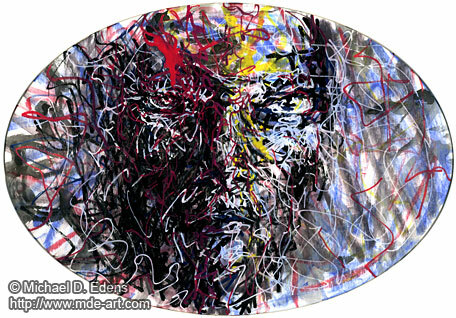 The character’s face was drawn with pens, paint pens, oil pastels, and markers. 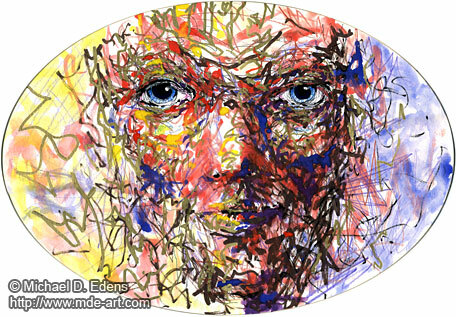 The artwork is expressive and colorful, with contrasting warm and cool colors used to set apart the eyes, nose, mouth, and some skin surfaces from the surrounding chaos. 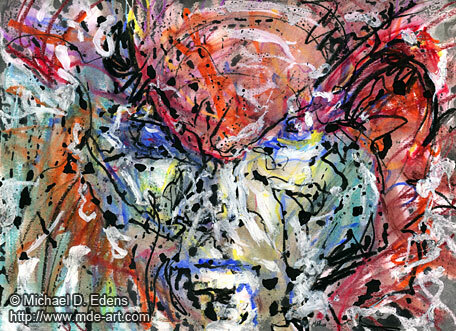 An accompanying video shows how I draw the abstract face in a time lapse format. 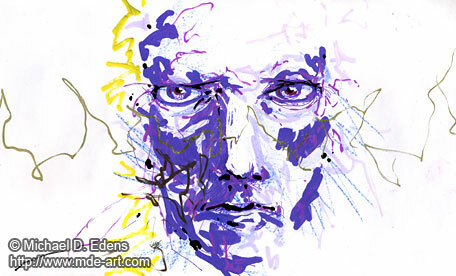 The initial composition of the face was sketched with pen first, followed by layers of color and highlights. 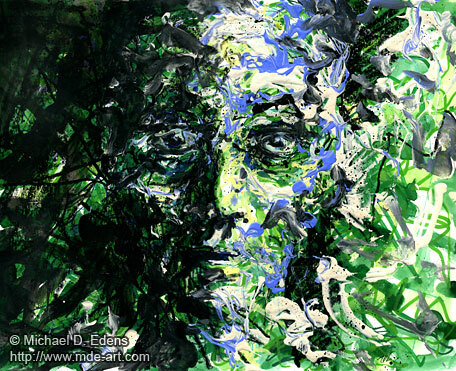 Expression without fear is often followed by more self awareness for me. 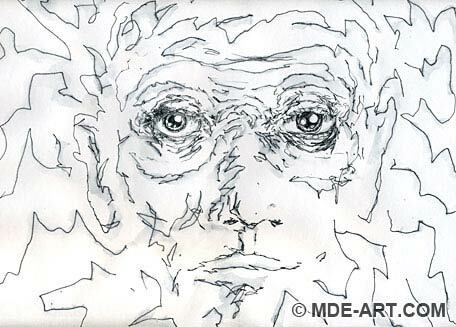 Whether it’s through music, writing, dance, visual art, talking, or some other type of introspective activity, it helps me reach a new perspective about my life. 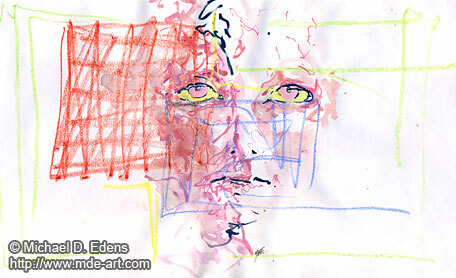 I feel like I have some clarity. 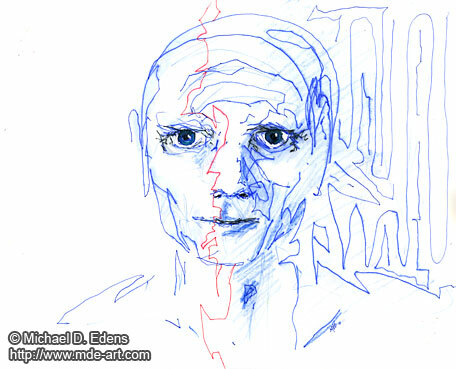 The drawing below is an abstract representation of a part of the process. 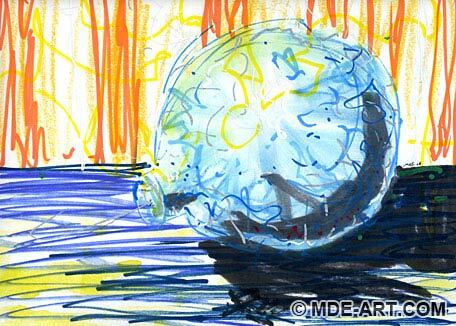 The artwork is drawn on two sheets of 12″x9″ card stock paper, with pens, markers, colored pencils, watercolors, and paint pens.